Actor Richard Gere is a dad again! Gere’s wife Alejandra Silva, 35, gave birth to their baby boy last week in NYC, his rep confirmed to People magazine. Richard Gere & Alejandra Silva Confirm Baby Rumors — See the Pic! Gere is also the father of Homer James Jigme, 19, with ex-wife Carey Lowell. 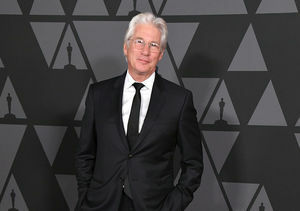 Is Richard Gere Becoming a Dad Again at 69?